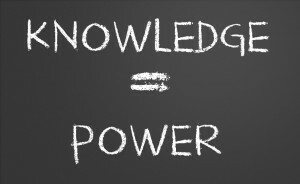 INTHEBLACK – If knowledge is power in the digital age, how much is it worth on your balance sheet? Late last year I was asked by the editor of CPA Australia’s INTHEBLACK magazine to look into the issue of digital assets and how they are valued in modern organisation. The truth, as it turns out, is that they generally aren’t. Current accounting standards apply valuations to physical assets such as plant and equipment or inventory, but intellectual property, databases and software-based processes barely get a look in. Which is odd, because some of the worlds most valuable companies, such as Apple, Amazon, Microsoft and Google, have asset to valuation ratios of around 4 per cent. They have very few physical assets backing their massive valuations. Rather, it is intangible assets, such as digital assets and brands, which make up these valuations. These are often classed on ‘goodwill’. All of this means that in most instances the only way to value a software or data-oriented company is based on its earnings – and even that is a fairly crude measure, especially for a start-up. In the end, most valuations simply come down to what the market is willing to pay. Which in an era where the use of data is what sets aside a business, makes no sense at all. Anyway, you can read more of my researching into this topic in this article in INTHEBLACK.